Moms to be...are you looking for the perfect dress?? 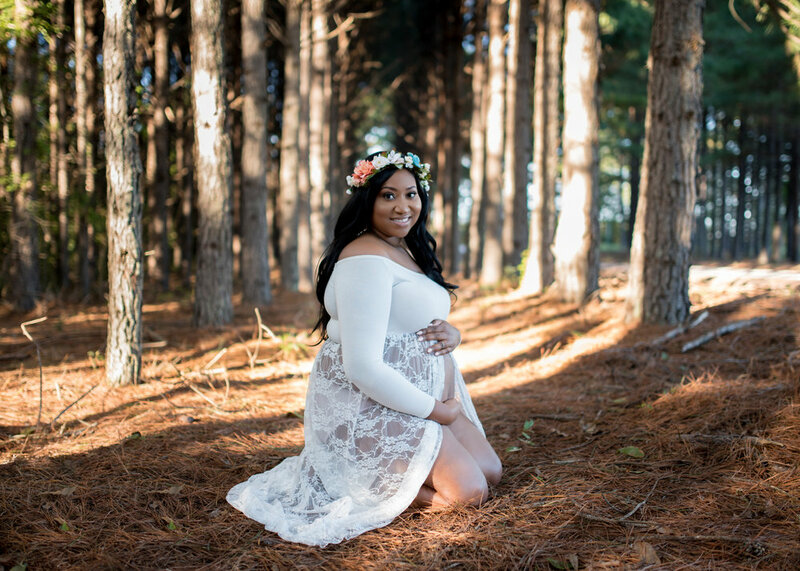 I know the struggle can be real and with all of the fabulousness of maternity photos these days you want these images to be perfect and what a better way to do that than to start with the basics! Dress comes first - they are easy and most likely you're going to be taking these photos somewhere between 25-35 weeks so you will start feeling some discomfort. Make it easy on yourself! Let me show you my top 5 picks for dresses!!! I hope I have something for everyone if given the chance to do this again I'm opting to bare my belly! I have never had a maternity photoshoot before. Well, I took some photos with my first but they were NOTHING to brag about. Keep an open mind and remember any maxi dress can be turned maternity if it has the right hem...above the belly. So you can get a 2 for 1 deal there! This dress is available in plus! I found a similar one in regular S-XL here. Double Duty - These can be worn at your baby shower, gender reveal, or photo shoot. This is if you don't want to want to do the formal type of dress. This dress comes in 5 colors: navy, black, olive, pink and red wine! Here are a few more options worth mentioning here and here. Have you taken maternity photos before? Do you plan on it? Try something cute and sassy for next shoot and be sure to let me know what you wore! I love, love, LOVE the low country and I've been on a mission to explore all things, South Carolina. It's where I'm from and I should know a thing or two about my state. Surprisingly enough, I have never been strawberry picking. My dad's family were farmers and they grew a little bit of everything but when I was younger, I was too cute for the fields. Now, it seems as if the things I didn't enjoy; I have a long for now. I stumbled upon Boone Hall Plantation while discovering things to do in Charleston, SC and I knew this was the place I wanted to go. Now, I will say it took me a while to do some digging to figure out exactly when they would be open but after reaching out to them they were very helpful and the prices weren't bad either $1.99/lb. The drive down was beautiful, I'm in love with the oak trees there. It feels like you're going on a magical adventure. I'm a kid at heart and I believe I was more excited than anyone else. I couldn't wait to get out and see everything. Warning: The plantation and patches are in two different locations. Not far from each other about a 1/2 mile apart. The weather was a little iffy but it still made for a great day. There were only about 100 hundred people out there when we arrived but the fields are large enough to where you don't feel crowded. Everyone was so pleasant and resourceful. The ladies ringing up our strawberries gave us great tips to keep our strawberries fresher longer. Mom Tip: This was a great inexpensive trip that my daughter won't forget. We were able to talk about farming/where your food comes from and healthy eating habits. We spent $20 for 10 lbs of strawberries. You can freeze them for smoothies, bake them in cakes or pies, your options are limitless. Get creative! Most importantly you're getting your children outdoors and active. This is amazing! It’s crazy that you can see something so simple and become inspired. Whether we want them to or not, our children are watching and they WILL model your behavior! I’ve also noticed that people have come up with their own family motto/mantras and I think that is so cool! It is important that families do this because to teach your children a sense of unity. I, however, don’t have one...yet! I plan to work on that. Take a look here if you would like to create your own also leave some comments below and let me know what your family motto is. Close to a year ago I saw a video floating around on Facebook on the topic of "Coparenting". Personally, I do not co-parent. It has been a dream of mine but I also understand that not everyone can co-parent. I have always been taught that a child is better off with 4 parents rather than two that don’t get along. That is a motto that I’ve held close. My children’s father and I CANNOT be together and we know that but how awesome would it be to share a certain level of cordiality for the sake of our girls. I want to hear from you! Have you tried co-parenting? What are the benefits? Drawbacks? Let me know how co-parenting works for you. All healthy tips welcomed! As a mom, have you ever stood back in adoration and gave yourself a pat on the back? Sometimes it is necessary to congratulate our successes as parents. We're human, so we make mistakes but they only make the successes that much sweeter! My proudest moment as a mom would have to be hearing my oldest tell me how much she loves her hair. O M G!! The waterworks wanted to come but I was a G and held it together. This world teaches our little black girls to hate themselves! The media preaches to them that their hair is not beautiful unless its straight or their curls are long and bouncy but NO ma’am! Little black girl you rock! Now with my baby…I don’t know if this would be considered a proud moment for me or her- either way, it was awesome. I had trouble with her walking and talking for a long time. She experienced memory lapses at a very young age and it scared me half to death. I finally took her to the doctor and we started therapy around 18 months. By her second birthday she was walking without falling, her health was improving and I couldn’t do anything but praise God for restoring her. I know there will be many more moments like these and I plan to share them along the way. Remember to brag on your babies for they are your greatest creation, accomplishment and responsibility! And don't forget, Moms ROCK too! Lately my job has had me super busy! Between traveling, long hours, and paper work galore, I've been so focused on doing a great job to prepare for the next level, that I've neglected myself. When asked what I wanted for Mother's Day, I told my mom the best gift I could receive would be a getaway. I had the perfect scenario. I would go to the beach and listen to the ocean to reconnect with myself but the rain changed those plans for me. As we all know, everything happens for a reason and I got an even BETTER gift! I woke up, cooked breakfast (I almost burned the grits, lol) and got back in bed! It has been so long since I've gotten back in bed! It was heaven on earth and I didn't know what to do with myself. I binge watched my favorite home improvement shows and napped through out the day. Later in the evening I thought about pulling out my laptop to work but I remembered I'm on vacation. RELAX. Work will be there Monday when I return. Remember, in the workforce you're replaceable. They WILL hire someone else. At home, you're irreplaceable. No one could ever take your place. Take time to recharge for YOU! You deserve it.